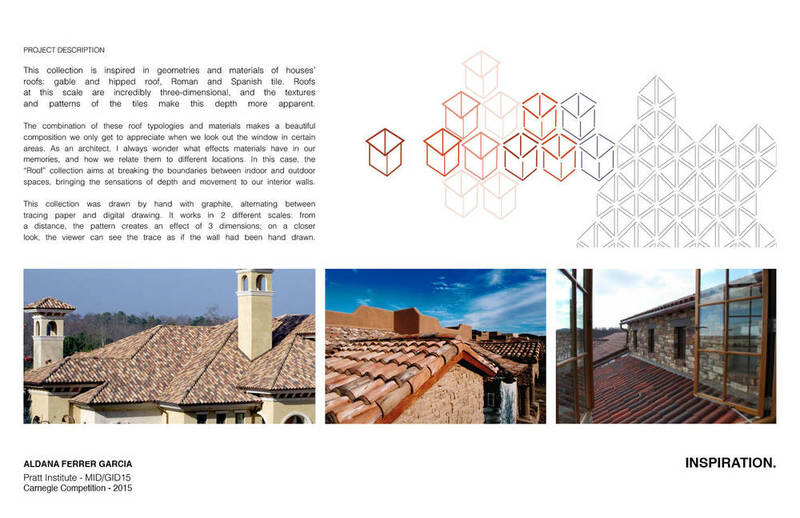 This collection is inspired in geometries and materials of houses’ roofs: gable and hipped roof, Roman and Spanish tile. Roofs at this scale are incredibly three-dimensional, and the textures and patterns of the tiles make this depth more apparent. The combination of these roof typologies and materials makes a beautiful composition we only get to appreciate when we look out the window in certain areas. As an architect, I always wonder what effects materials have in our memories, and how we relate them to different locations. In this case, the “Roof” collection aims at breaking the boundaries between indoor and outdoor spaces, bringing the sensations of depth and movement to our interior walls. 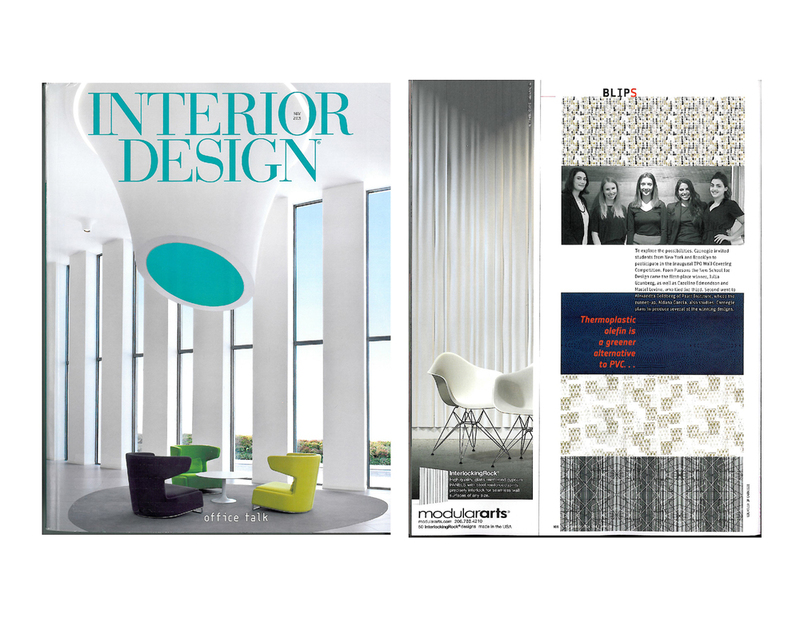 This collection was drawn by hand with graphite, alternating between tracing paper and digital drawing. 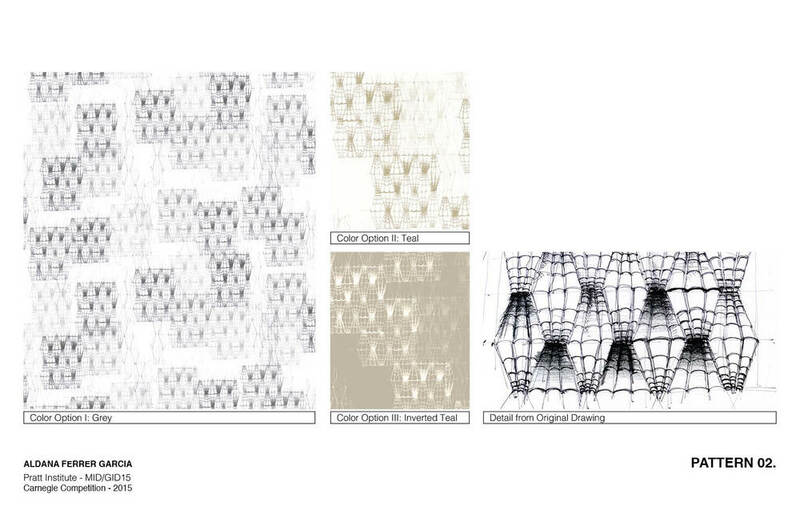 It works in 2 different scales: from a distance, the pattern creates an effect of 3 dimensions; on a closer look, the viewer can see the trace as if the wall had been hand drawn.